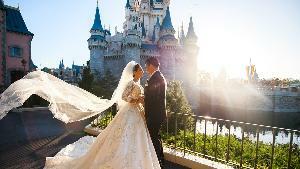 Prize: Round-trip air for 2 (open to those who are Fiancé/Fiancée/Spouses); 5 nights hotel for 2; $500 Disney gift card; $25,393 in cash; Dinner reception will include: Food and non-alcoholic beverages, wedding cake, entertainment, decor, photography ($130,000). What you must do to enter: You do NOT have to donate money --- *** Scroll to the bottom of the page and click "read more" then scroll down past the rules -- click on "Alternative Method of Entry" -- complete form *** Open to those who are Fiancé/Fiancée/Spouses. Statistics: This contest was opened by 198 and entered by 19 ContestChest.com members. 10% of those who opened the contest, entered it.